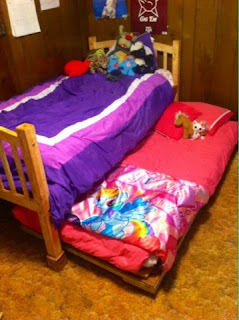 Bryan used Kee's old crib to make her toddler bed. 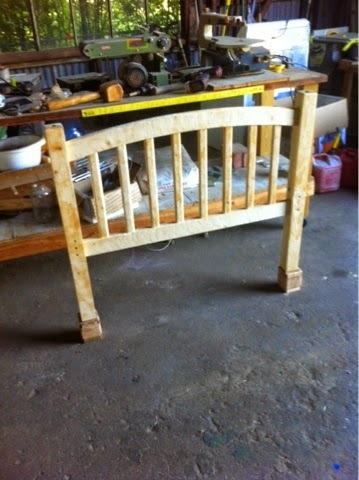 It seems like yesterday that Bryan built Kee's toddler bed, but she has out grown it. We knew it was time to for her to have a big girl bed. Normal people go to the store haha, but you should know by now that is just not how we roll. We decided to go with a trundle bed. In the fervor of room re-design, I headed over to Pinterest (this project really made me love Pinterest by the way) and created a board that you can check out here. Material wise, we had Feather's bed. It was the bottom part of a long ago purchased Wal-Mart bunk bed set. It really had seen much better days and was also due for replacement. We also had wood that had been torn out of an old church in town. First, we decided to build the trundle. 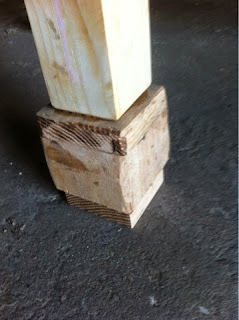 We built a frame, then used slats for supports. The slats are fairly thin, so we had to go back and add reinforcements. Once this was complete, we attached casters. The casters were the only items purchased for this build. :). With the trundle complete, it was time to revamp Feath's bed. I broke it apart and sanded off the varnish, stickers, and marker that had accumulated over the years. In my original design, I had planned to redo her headboard, making a bookshelf. 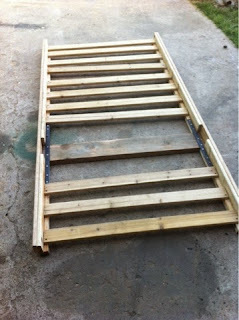 However we were running out of time, so we kept the original head board, and foot board. 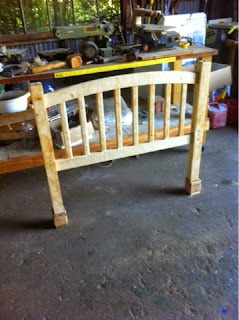 We ended up adding a solid wood piece in the middle of the bed slats. 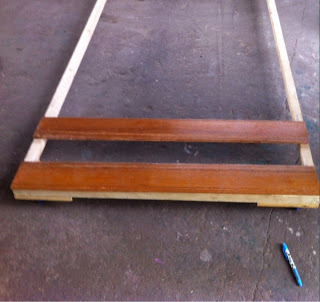 Next, Bryan made risers with end caps to give the bed enough height for the trundle to clear. By the time we finished this, I had developed an intense loathing for paint, and had fallen in love with how all the different woods were working together. So we finished it with linseed oil. 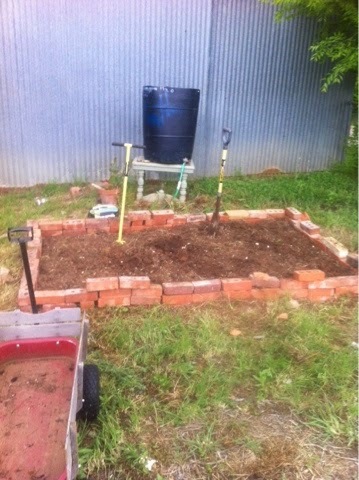 I really wish that I had a before picture of Feath's bed. Oh the difference a few changes can make! One thing that I would recommend if you are wanting to make your own trundle, would be to use a sheet of plywood. You could either attach it to a frame, or attach casters and be finished. Either way this is a fairly simple project. 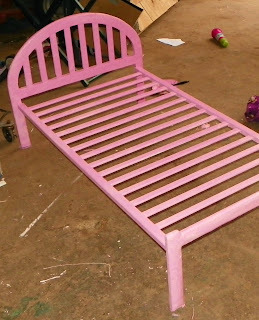 The most time consuming part was sanding down all of the parts of the old bed. Re-purposing things sometimes takes a lot longer than building something from scratch, but the character of the finished product, and money saved is well worth the effort. 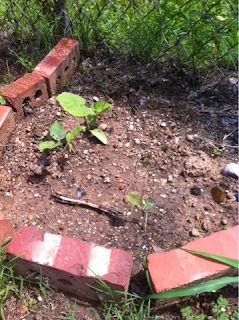 When we started planting this year's garden, it felt a little bit like a fool's errand, but Bryan and I have to grow things. It might be a few plants in pots, or I might get a little carried away and we end up with way too many plants and flowers to try and keep alive. Thankfully we have continued to add to thecompost pile, so there was plenty of compost to add to last year's raised bed. 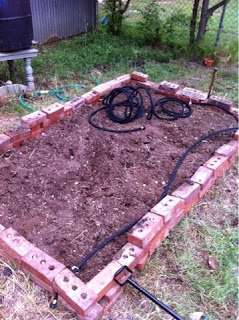 Even after Bryan rigged a pump system for us to use to get water from the rain barrels to the garden, just the simple act of watering our little plot was really time consuming. This year we went with a soaker hose. Last year, we waited until after everything had started growing to add mulch and covering. That turned out to be a nightmare, so as soon as we had the soaker hose in place, we put down the plastic. Maybe this will be the year we will have our own pumpkins! 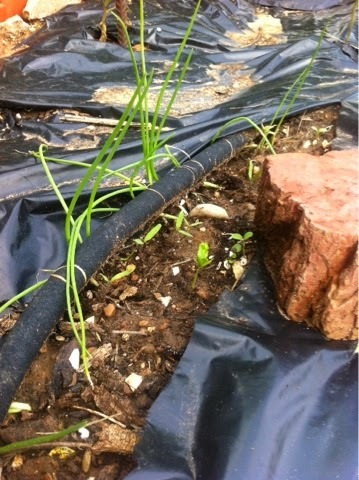 Everything is starting to grow! 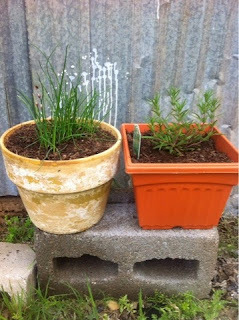 We have had so much rain, we've only had to water a few times. The soaker hose was definetely worth the trouble! We just have to drop our pump into a rain barrel, and turn every thing on. I think Keela had a lot of fun playing with the seedlings. 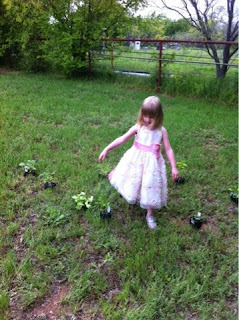 We had to talk her into letting us plant them! 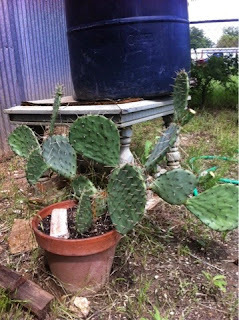 A couple of year's ago, Bryan dug up a cactus plant. This year it finally bloomed. It needs a bigger pot, but I think I will let Bryan take care of that! 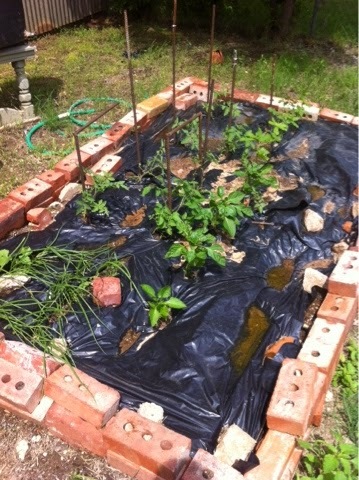 I'll try to post an update later on when everything takes off.